People working and living around Aerodrome Road will be pleased to learn that three new air monitoring stations located in the area are about to go live. New air monitoring stations installed to monitor dust around Aerodrome Road areas. This is in response to community concerns about environmental effects from dusty activities happening in the area. Bay of Plenty Regional Council Regulatory Compliance Manager Stephen Mellor says since June 2017 their Pollution Hotline has fielded more than 50 calls about dust related issues from the area and they're working to address them. “Air pollution is always tricky to isolate as its often not visible and sudden changes in wind strength, direction, and operator behaviour can make it challenging to capture evidence. We’ve invested considerable resource and commissioned two separate rounds of independent air quality monitoring to better understand the issues at Aerodrome Road but to date no breach of our rules has been recorded,” says Mr Mellor. Regional Council is hopeful new equipment, which can pick up previously undetectable tiny inhalable dust particles, will help them better understand the issue. “Everyone wants clean air to breathe and we want the public to be confident they can do this in an area they work, live and play,” he says. 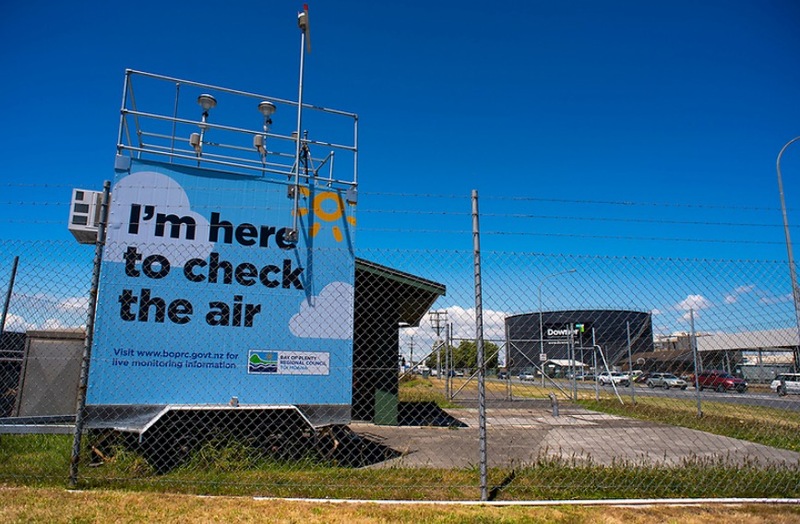 The National Environmental Standards for Air Quality set a guaranteed minimum level of health protection for all New Zealanders and the discharge of contaminants into air is controlled by the Regional Air Plan (under the Resource Management Act). All data from the new monitoring stations is being shared with residents living on site, adjacent businesses, Toi Te Ora, WorkSafe and Tauranga City Council. Regional Council has also invested an additional $500,000, a year for the next three years, to improved monitoring in the wider Mount Maunganui industrial area. Once verified these results will be shared with the wider community in early 2019.